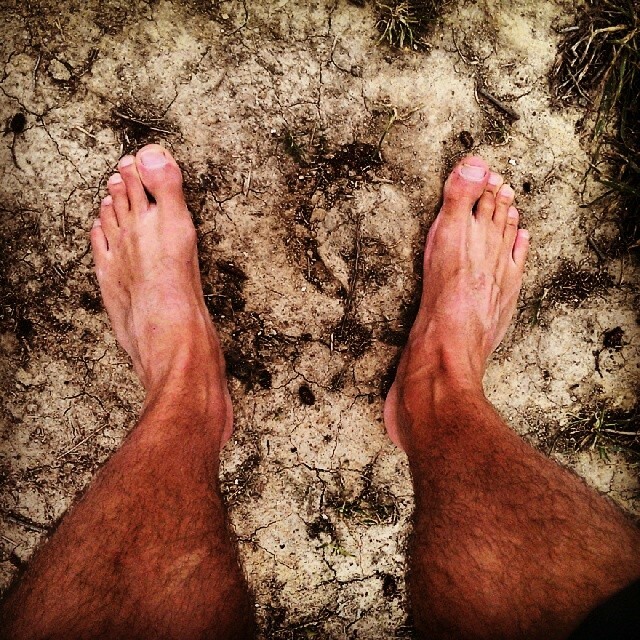 This post is not a scientific explanation of why to run barefoot. There are hundreds of articles like that elsewhere. This one is just my personal story! My barefoot journey started sometime around summer 2011. At that time I had been running little bit more than a year, a few times a week. The main reason for me to start was that I wanted to loose weight. After about a year running in conventional “running shoes” I came across videos featured Tony Krupicka cutting sole off from his running shoes. Inspired by him and the idea about barefoot / minimalist running I did the same with my shoes. It felt amazing! I was reading a lot about barefoot running in general and I discover a book Born to Run. I heard about “running in sandals” before but it sounded too crazy for me. However I got hooked on everything about huarache sandals and barefoot running after reading the book. In the middle of 2012 I moved to the south of Spain and that time I mark as beginning of my Luna Sandals barefoot adventures. I started to run more regularly and longer distances, and in the real mountains. South of the Spain is really rocky and trails here are awesome. Honestly I was doing just 3 things – working, running, sleeping. At that time it was all that matter to me. I was running 2+ hours a day, each day, each week. Sometimes even 2 times a days. I wasn’t doing it because of some kind of special training etc. I just felt that I needed that at that time. Just me (and my best 4 legged friend Pulgi), mountains and my sandals. I will for sure remember that period of my life forever! I stayed in this pretty “intensive running mood” for about 3+ years. For the whole time I didn’t experienced any issues or injuries. I was running / hiking / walking everything from asphalt, rocks, high altitude mountains, snow, water, beaches mostly in sandals (from time to time total barefoot or in “barefoot shoes”). It’s true that right now I don’t run as much as before, but I think after 3 years of destroying my body and my legs in the mountains and on ultra races I have to say that my feet are in perfect conditions. For me to be more barefoot was one of the best decisions I’ve ever made. Even now when I don’t run that much I still go barefoot as often as possible. Walking, moving, exercising, running, hiking. I wear the shoes really occasionally. Even in those case my shoes are usually minimalist one. No matter what sport you do, no matter if you’re professional athlete or just somebody who jog once a week or even walk to work each morning. The best think you can do for your feet is to let them move and work how they are supposed to!